Homeowners love fire pits, not least because they are so affordable and easy to add to outdoor living areas. 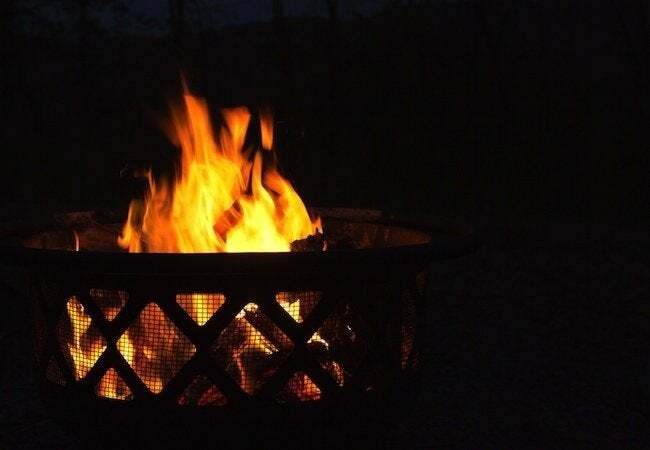 If you enjoy cozying up to the fireplace in your home, why not consider adding a fire pit in your backyard? Fire pits are just the thing to bring friends and family together on cool evenings, extending the outdoor season. If you keep it simple, a firepit won’t break the bank. The simplest are essentially metal bowls with legs. They’re readily available at home centers. Some come with lift-off tops to keep the rain out (when they’re not being used). Some have screened covers to contain burning embers. Still others include grills you can set over the fire for cooking. A do-it-yourself option is to create a ring of mortared stone at ground level. You can make the ring as tall as you want. To keep rainwater from accumulating in the middle, you may want to include an underground drain. Some municipalities restrict or forbid outdoor wood fires; before finalizing plans, be sure to check local ordinances. And one more caution: Never put scraps of pressurized wood into your firepit. When burned, the chemicals in treated wood give off noxious fumes.